Legal Address: 109316, Moscow, Ostapovskii proezd, d. 3, str. 23. 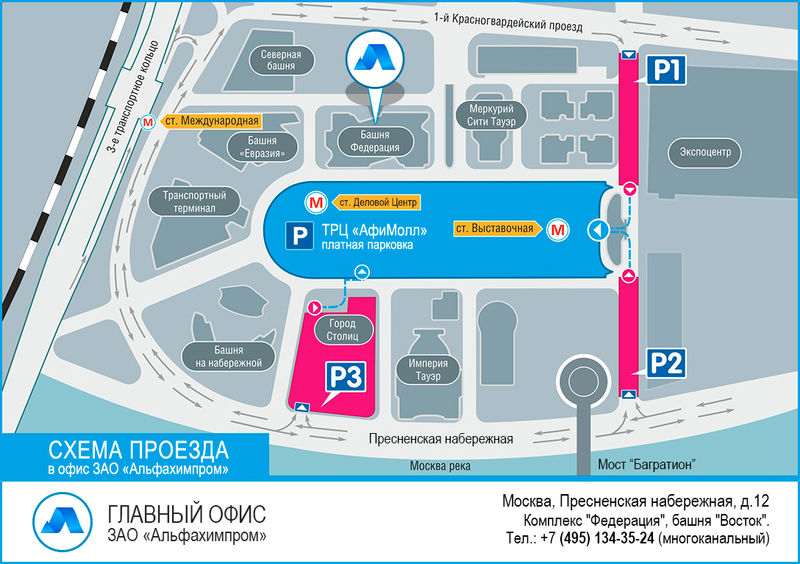 Actual address and delivery address: Moscow, Presnenskaya Embankment, 12. Federation Tower, Tower East (Vostok). Contact number: (495) 134-35-24 (multichannel)., (495) 665-09-29 (multichannel). (multi-channel), +XNUMX (XNUMX) XNUMX-XNUMX-XNUMX. Production address #2: Eastern Industrial Zone, Dzerzhinsk, Nizhny Novgorod region.